Beaumont Chase Castle was a motte-and-bailey fortification built in the late eleventh or early twelfth century possibly on the site of an earlier Saxon moot. Little is known about its history but it has been theorised that it was either constructed to administer the adjacent forest or to serve as a defensive site during the turbulent years of the Anarchy. The origins of Beaumont Chase Castle, which is also known as Uppingham Castle Hill, is uncertain. Although the castle itself is certainly of Norman origin, the site may well have been in use prior to the Conquest as it was mentioned in a Saxon Charter dated 1046 where it was called Martin's Hoe. Accordingly it could have been a moot, a location used for dispensing justice and other administrative functions. Such sites started to be used from the seventh century AD and took a variety of forms but were generally centred on a prominent landmark as well as being located at a readily accessible point. The site's location, precisely on the Uppingham and Beaumont Chase parish boundaries, broadly supports this analysis. Following the Norman invasion, many moots were either converted into castles or their functions relocated elsewhere. Accordingly the castle itself may have been raised on the site in late 1060s or early 1070s as the Normans consolidated their power in the region. However, this seems unlikely as the castle was not located near any key nodal point nor any strategically important overland routes. Furthermore there was no mention of the site in the Domesday survey of 1086 and Oakham Castle quickly became the administrative centre for the region. Accordingly there are two theories, which aren't mutually exclusive, explaining its construction. The first suggests the castle may have been an administrative site facilitating the effective management of the adjacent Leighfield forest. This is partially supported by a record dated 1257 where the King issued an order, presumably to the castle's custodian, against the destruction of oaks there. The alternative theory is that the castle dates from the Anarchy, the mid-twelfth century Civil War between Matilda and Stephen over the English succession. The discovery of a single coin from Stephen's reign suggests it certainly existed at that time. However, until the site is fully excavated and more evidence gathered, the truth will remain elusive. The castle itself was an earth and timber motte-and-bailey fortification. It stands upon a triangular spur of high ground overlooking the Eye Brook with steep natural scarps on the north, west and south sides that aided the defensive qualities of the site. 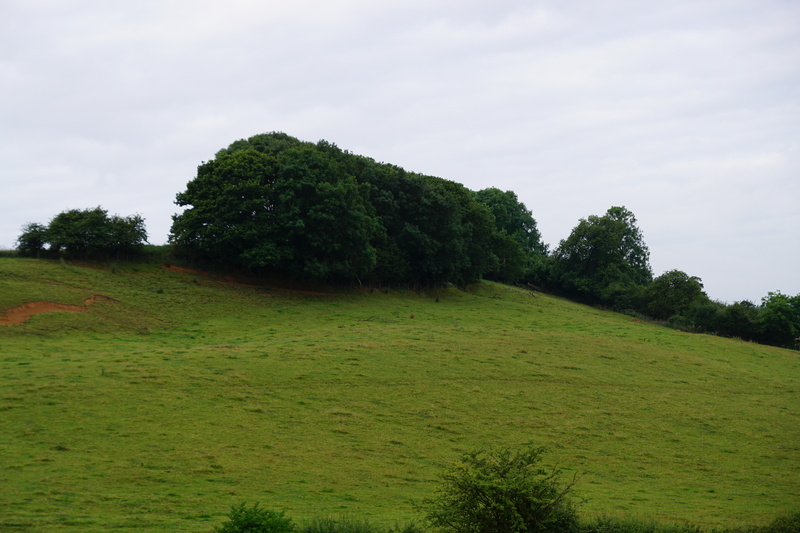 The oval shaped motte was built upon the summit of the hill and would have been topped by a timber palisade whilst its base was surrounded on all but the west side by a deep ditch. An Inner Bailey extended to the east along the flatter ground whilst a further enclosure, presumably an Outer Bailey, extended beyond that. There is no evidence the castle was ever rebuilt in stone and accordingly its lifespan was probably relatively short. Cantor, L (2003). The Scheduled Ancient Monuments of Leicestershire and Rutland. Kairos Press, Leicester. Creighton, O (1999). Early Castles in the Medieval Landscape of Rutland. Hartley, R.F (1983). 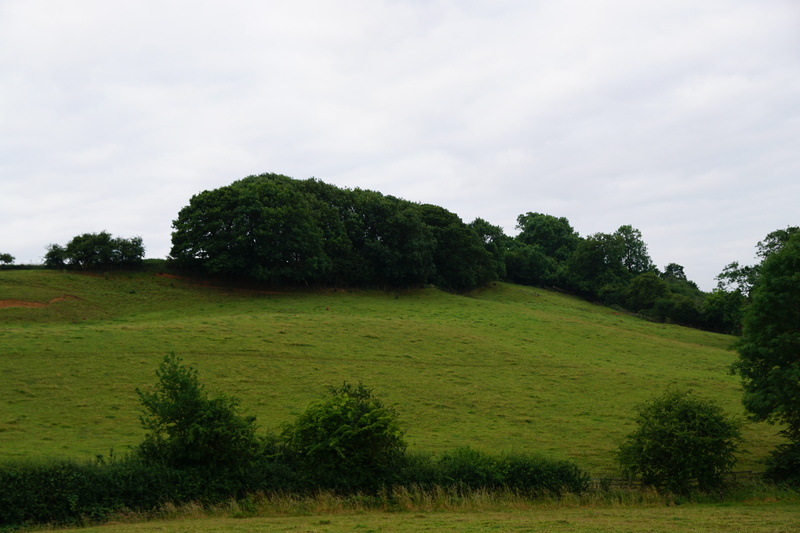 The Medieval Earthworks of Rutland. Historic England (2016). Castle Hill motte and bailey, Beaumont Chase, List entry 1010925. Historic England, London. Knox, R (2015). 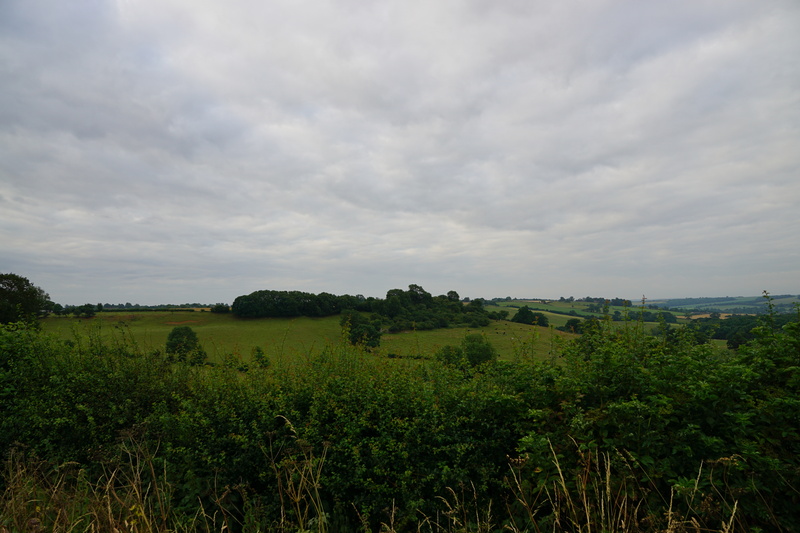 The medieval fortified sites of Leicestershire and Rutland. Saltar, M (2002). Castles of the East Midlands. Folly Publications, Malvern. Wall, C.J (1908). Ancient Earthworks. VCH. Beaumont Chase Castle. The site of the earthworks can be clearly seen from the adjacent public right of way. Castle Site. The castle was built on a summit of high ground protected by natural scarps on the north, west and south sides. Beaumont Chase Castle is found to the north-west of Uppingham just off the A47. There is a small lay-by on Leicester Road directly adjacent to the public right of way.